Perry and Larry share a lot. They both have spent their lives on Little Bay Islands, Newfoundland. Both share a last name: Locke. But the neighbours do not share the same opinion on what should happen to their tiny, struggling community and now tension divides the town. Between 1954 and 1975, when the Newfoundland and Labrador government identified some 300 communities as having "no great future," resettlement became the answer to the controversial problem. During that period more than 28,000 people were moved. Now the community of Little Bay Islands off the northeast coast of Newfoundland is faced with the issue of resettlement. They've voted twice. In 2011, residents were offered compensation of $80,000 dollars per household. More than half of them voted to leave. But they needed 90 per cent. Then money was nearly tripled — to a minimum of $250,000. But last November, the vote failed again — 89.47 per cent voted for resettlement. The Newfoundland and Labrador government is reviewing its rules around resettlement but now the people of Little Bay Islands, once close, are now, painfully divided. Meet Larry and Perry Locke. They share the same last name and spent their lives in Little Bay Islands, but they don't agree on what should happen to their struggling town. Larry voted to move. Perry, one of 10, voted to stay. Larry, 57, used to be a fisherman but was able to get re-training during the moratorium in the early 1990s, when the cod fishery collapsed. 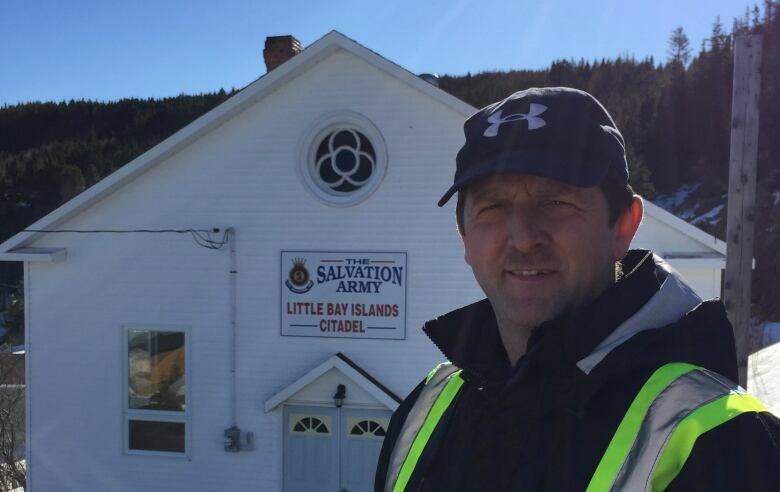 He works for Marine Atlantic — the ferry between Newfoundland and Nova Scotia. Perry Locke, 50, works for Newfoundland and Labrador Hydro, one of the few remaining jobs left on the island. Perry says the resettlement issue is tearing the community apart. Perry's vote is known around town and has prompted people to stop speaking to him on the ferry and receiving threats on social media. Perry says he had to give up being mayor of Little Bay Islands because of the resettlement tensions. Lemuel Jones, 73, says the tension in his home of Little Bay Islands is definitely felt among residents. People don't speak to each other and there are a lot of bad feelings in the community. The documentary Death of an Outport was produced by Halifax network producer Mary Lynk and The Current's documentary editor Joan Webber. FULL EPISODE: The Current for March 10, 2016 in St. John's, N.L.